Half term can be an expensive time, especially this year when children want to go to Halloween parties, spooky trails and pricey craft workshops to make everything from gruesome beasts to pumpkin flotillas. By the time you’ve factored in new costumes and a cupboard full of sweet treats, you can find you’ve spent a fortune before you’ve even started. There are free ‘“Musicadoodle-do” sessions, lantern-making workshops, football and rounders afternoons, conservation mornings, a fun storytelling event and a pirate fun day too. 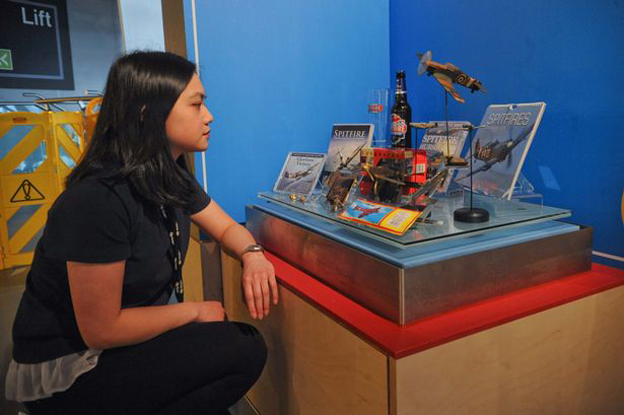 And, we’ve even found a way you and your kids can get into Thinktank for free. Follow our guide and you’ll have a loads of half term fun for nothing! Ikon Gallery is hosting a series of family-friendly drawing events as part of The Big Draw and Family Arts Festival. Musicadoodle-do with Birmingham Contemporary Music Group takes place on Monday October 26 from 1 to 3pm at South Yardley Library, Yardley Road. 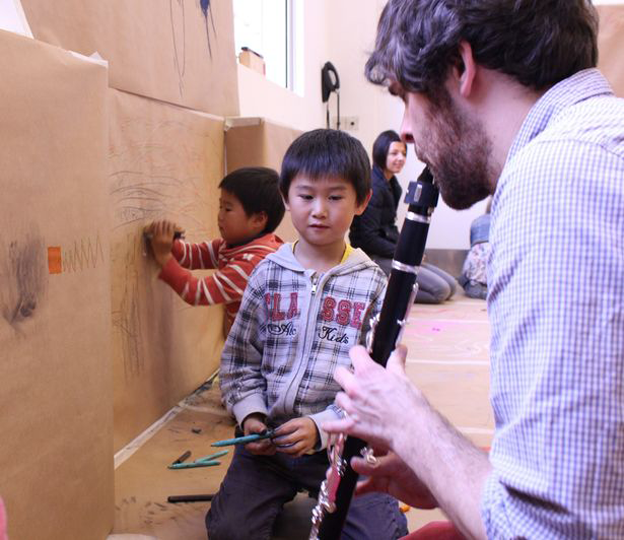 Organisers are promising an afternoon of ‘drawing with sound’ where you can make your own graphic score for musicians to perform and make live drawings to music. It’s free, there’s no need to book and you can stay as long as you like – what’s not to like? 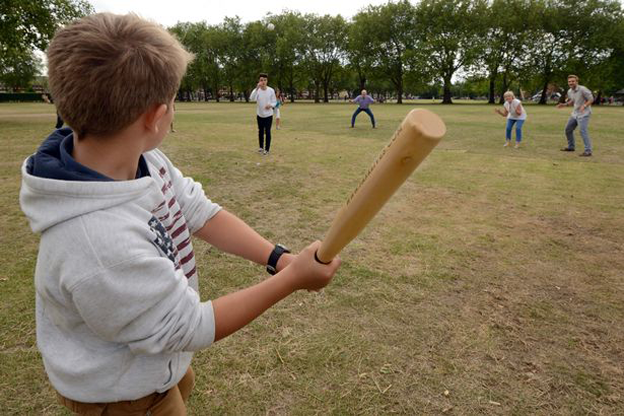 Fancy a game of footie, rounders, cricket or tennis? 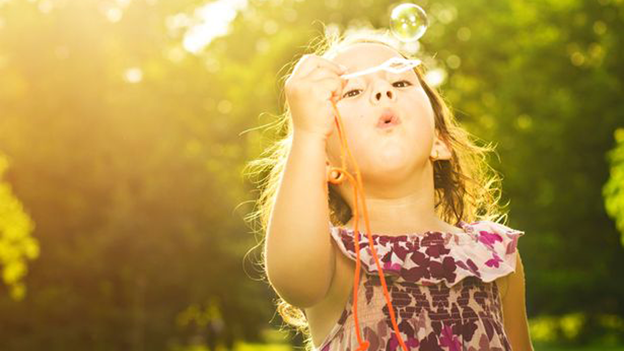 There are lots of free family fun afternoons (and mornings) taking place in parks all over Birmingham throughout half term as part of the Park Lives programme. Head to Georges Park, Lozells from 2 to 4pm on October 29, Enderby Park, Perry Barr from 12 to 2pm on October 30, Centre Park, Castle Vale from 1 to 3pm on October 31 or Small Heath Park from 1 to 3pm on November 1. There are plenty more parks and times to choose from, plus many more free activities, such as Zumba and Tai chi too. This is set to be an amazing event. Families are invited to head along to the Learning Zone Art Classroom at Birmingham Museum and Art Gallery between 11am and 4pm from October 26 to 29 to learn how to make a lantern and become part of this truly significant event for our city. 2,241 Reasons to Remember will be a visually stunning large-scale outdoor illumination that honours the 2,241 people known to have lost their lives during the Birmingham Blitz. This event is in partnership with Birmingham Hippodrome, who are working with Metro-Boulot-Dodo, to produce a large scale illumination event to commemorate the 75th anniversary of the Birmingham Blitz on November 19 to 21, 2015. The lantern-making sessions will be led by Sophie Handy, a professional visual artist, who will be creating a series of lanterns which will be an integral part of the illumination event. 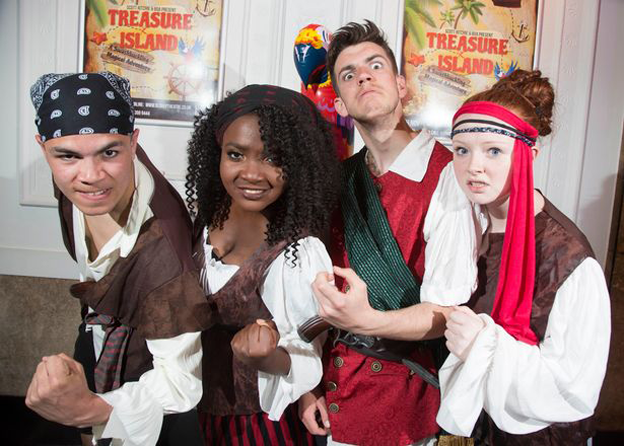 Join the Pirate Crew at the Library of Birmingham, as The Old Rep launch their Christmas production of Treasure Island! Enjoy a wealth of swashbuckling activities, from free craft sessions in the Children’s Library meeting room to pirate storytelling on The Story Steps, and Treasure Island drama workshops in the Beat Box. All of these events are completely free of charge, ideal for children aged four plus, and will be taking place in the Library of Birmingham between 12 and 4pm on Friday, October 30. Follow @TheOldRep on Twitter for further details. The Cognitive Development Research Group from the School of Psychology at the University of Birmingham are at Thinktank to conduct exciting research on child development this half term. They are looking to recruit four to six year old children for studies looking at problem solving, copying, gestural communication and tool use. Research will run from Thursday, October 29 to Saturday, October 31 and sessions will last 15 to 20 minutes. Free entry to Thinktank will be provided for each child participating and an accompanying parent. Two or more children from the same family enables free entry to both parents. For more information or to book your slot, contact Ryan Tinsley at R.Tinsley@bham.ac.uk. In the email, indicate your child’s date of birth and the preferred day to come and Thinktank will get back to you to arrange your visit. Spitfire exhibition at the Thinktank at Millennium Point. On Storybook Day, there will be the first ever public reading of The Unstoppable Maggie McGee by local author Juliet Clare Bell. This is a free event taking place on October 28 between 11am and 4pm. Set in a children’s hospital, it’s a powerful story about imagination, friendship and hope and the sale of the book will be helping to raise valuable funds for Birmingham Children’s Hospital. Families can also be creative together using beautiful illustrations from the book – join in and make badges, pictures and help to create a giant, colourful feathery collage. The voice is an extraordinary and versatile musical instrument. Not only can it sing in many styles, it can whisper, wail, chatter, cackle, gurgle and roar. Join Birmingham Contemporary Music Group in making music from these unique sounds and draw them to make a musical score on Tuesday October 27 from 1 to 4pm at the Ikon Gallery, Oozells Street. This is a free event and there’s no need to book, just turn up. There’s a whole host of fun, hands-on activities this October half term at Birmingham Museum and Art Gallery in Chamberlain Square. From spooky art and craft sessions to giant drawings, handling weird objects to listening to fascinating tales, there will be lots for families to see and do. Drop in for the activities between 11am and 4pm from October 26 to 30. All the events are free although there may be some small charges for materials. Saheli Women’s Project and Active Parks are running conservation activities on Sunday, October 25 and Sunday, November 1 at Ward End Park. 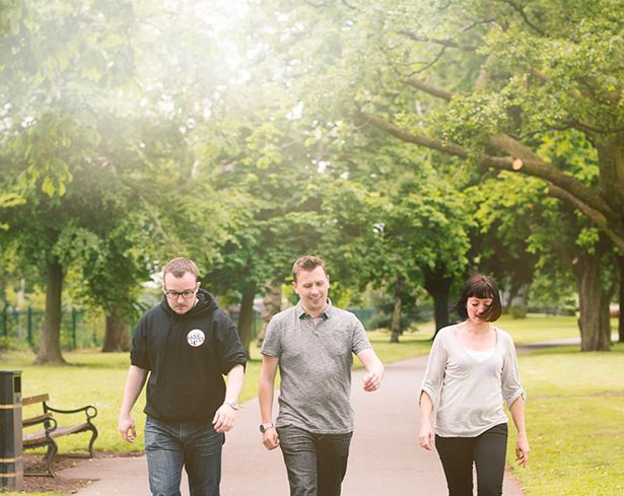 The scheme is part of Be Active Birmingham which offers city-wide fitness activities for everyone to enjoy for free. Visitbeactivebirmingham.co.uk to find an activity near to you. It normally costs £5 per child to go the regular Saturday Art Club at Birmingham Museum and Art Gallery in Chamberlain Square. But, during the Family Arts Festival which runs until November 1, the arts club is free! 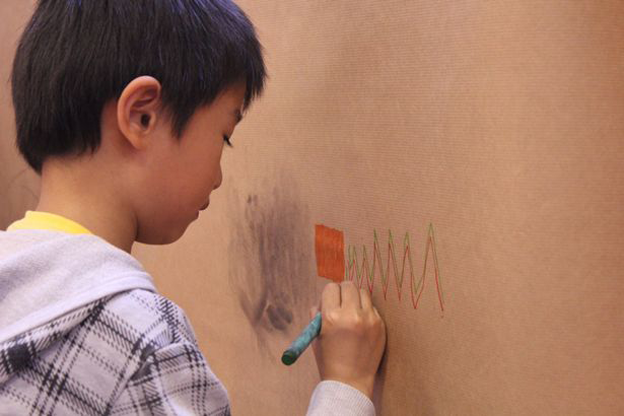 It offers the chance for children, aged five to 11, and their parents, to learn new techniques and create their own artwork under the gentle guidance of Ruth Radcliffe or one of the gallery’s guest artists and be inspired by the works in the exhibitions and displays. There is no need to book a place, just head over to the art classroom in the learning zone for a 10.30am start.